Unfair Wills / Blog / Challenge/ Contesting a Will / I haven’t seen my mother in years – can she leave me out of her Will? A general principle of New South Wales law is that a person has the freedom to choose who to leave their property to in their Will. However, a child of a deceased person may be entitled to claim property out of their parent’s estate if they can prove that adequate provision ought to have been made for them for their “maintenance, education or advancement in life”. 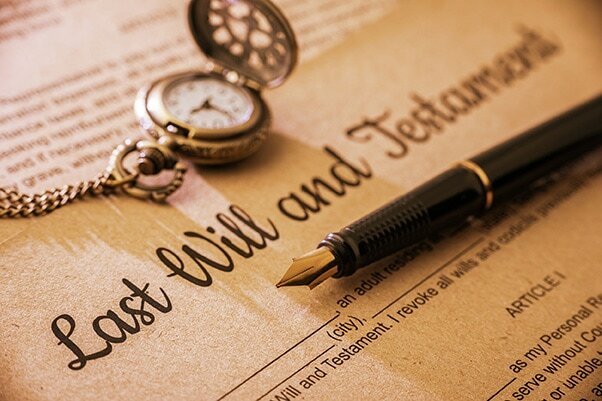 This is provided for by section 57 of the Succession Act 2006 (the law regulating Wills and estates in New South Wales). If a Court is satisfied that adequate provision has not been made and should have been made, it can made an order which overrides the deceased person’s intentions in making their Will A Court will generally make no order in favour of a child who has remained estranged from their deceased parent, on the grounds that a parent has a right to withhold property from “children who treat their parents callously, by withholding without proper justification, their support and love from them in their declining years.” However, in the recent case of Keep v Bourke  NSWCA 64 the Court considered the case of a daughter who had been left out of her mother’s Will after being estranged for 38 years – but where the reason for the estrangement was the callous decision of the mother to kick her daughter out of the family. The source of the estrangement was the mother’s hostility to the daughter’s marriage in 1971 to her fiancé before he went off to serve in the Vietnam War (for which he was conscripted). The mother refused to attend the wedding and subsequently cut off contact. The only correspondence the daughter received was a year after the wedding, when the mother sent her a letter demanding the daughter pay for upkeep of the family cat. At the father’s funeral the mother refused to even speak to the daughter. The trial judge determined that, in the face of such extreme and unreasonable hostility, the daughter’s estrangement would not warrant the Court upholding the daughter’s exclusion from her mother’s Will. The trial judge ordered that the daughter receive $200,000 of her mother’s property (an equal share to her other siblings). The case went to appeal, but the Court of Appeal upheld the principle that estrangement could be forgiven because the mother “must be seen as the instigator of the separation.” However, the Court of Appeal did find that the failure of the daughter to meaningfully attempt reconciliation warranted a slight reduction in her entitlement to her mother’s property. The Court of Appeal noted that this failure to attempt reconciliation was the result of the “hurtful way” the mother had kicked the daughter out of the family and as such her claim was only reduced to $175,000. If you have been estranged from your recently deceased parent, this case is strong authority that you may be entitled to a bequest.